Union Cabinet chaired by the Prime Minister, Shri Narendra Modi, today gave its approval for launching of the National AYUSH Mission (NAM) with its core and flexible components. 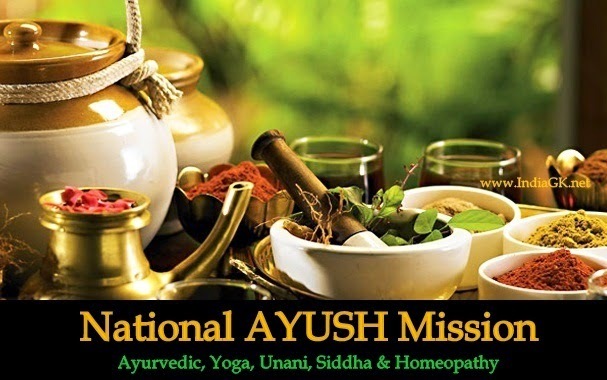 The proposed Mission will address the gaps in health services through supporting the efforts of State/UT Governments for providing AYUSH health services/education in the country, particularly in vulnerable and far-flung areas. Under NAM special focus will be given for specific needs of such areas and for allocation of higher resources in their Annual Plans. iv. improving availability of quality Ayurvedic, Siddha, Unani and Homeopathy (ASU&H) drugs through increase in number of pharmacies, drug laboratories and improved enforcement mechanism of ASU&H drugs.